Good news, marshmallows. 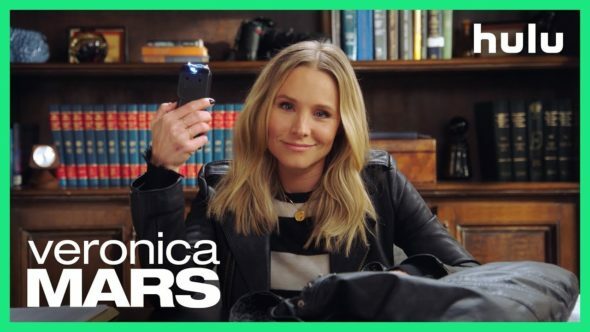 Hulu has revealed a premiere date for their revival of the Veronica Mars TV show. The teen noir mystery series initially ran for three seasons and 64 episodes from September 2004 until May 2007. The first two seasons ran on UPN and then, the final season aired on the newly established CW network. Hulu is now referring to this “limited series” as “season 4” so it would seem that a fifth season is possible. Given the show’s track record, I don’t think this will be the last we’ll see of Veronica and company. SPOILER ALERT: The first episode will be titled “Spring Break Forever” and was written by Thomas and directed by Michael Lehmann. What do you think? Are you a fan of the Veronica Mars series? Will you be watching season four?